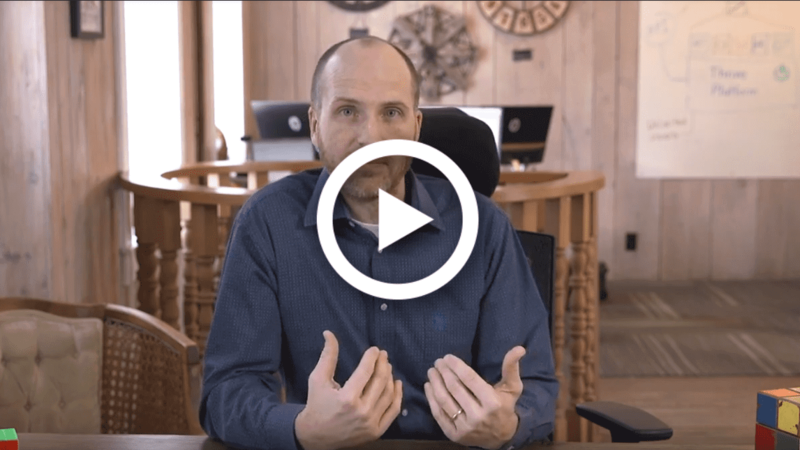 Jamie takes us through a brief overview of Thrive, how it can complement your ERP, and how Thrive allows for custom process tracking that meets your business needs. Spreadsheet chaos? We’ll reduce that. Most data tracking and reporting creates one thing: process waste. 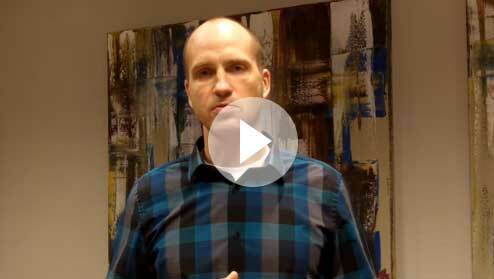 Learn how Thrive transforms data into actionable insights. ERP pain? We’ll put an end to it. Thrive isn’t an ERP. 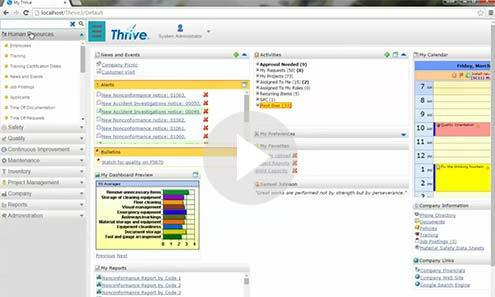 Thrive complements your ERP. We’ll break it down like this: Your ERP tracks financials, while Thrive manages processes within your operations. 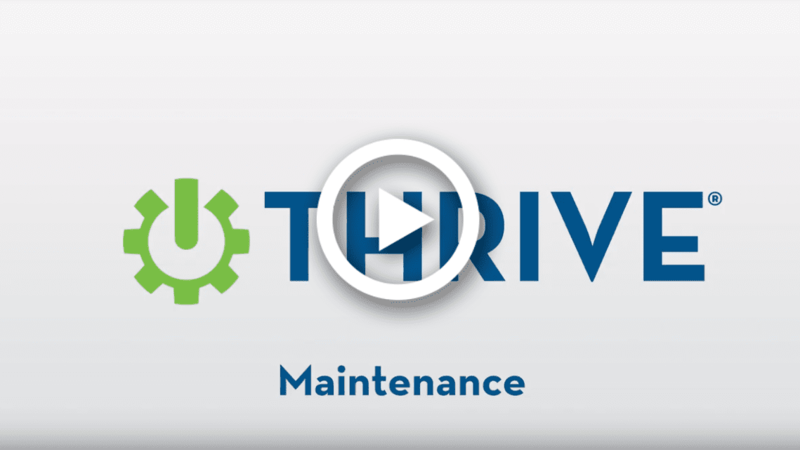 See how Thrive Maintenance enables your team to stay up with equipment needs seamlessly. 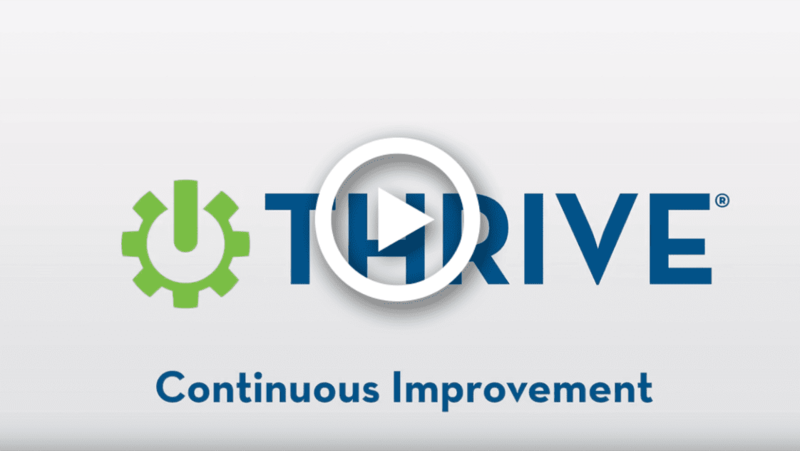 Learn how Thrive Continuous Improvement allows you to track team members and processes against your targets and goals. 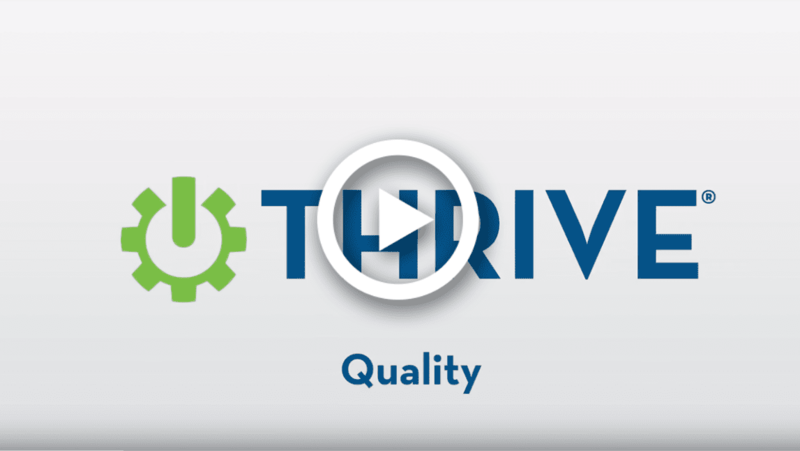 Explore Thrive Quality with this brief overview that shows how Thrive allows your team to make its best product. Got safety on the mind? 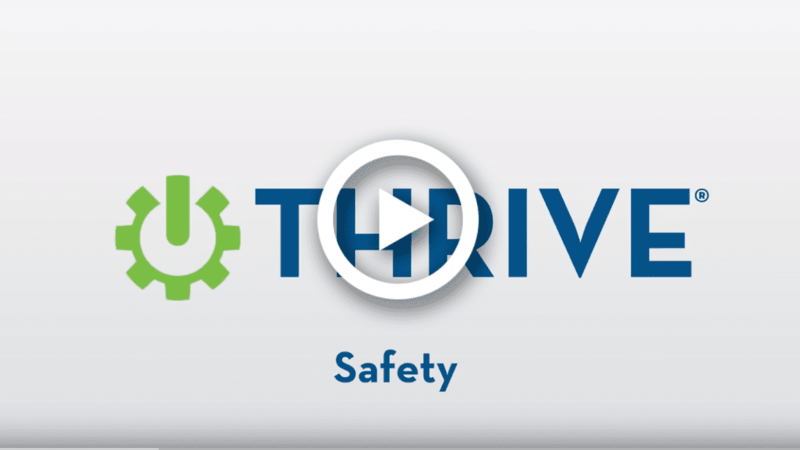 See how Thrive Safety allows you to deal with incidents, save all your safety documentation and lead your team to safe operating procedures. 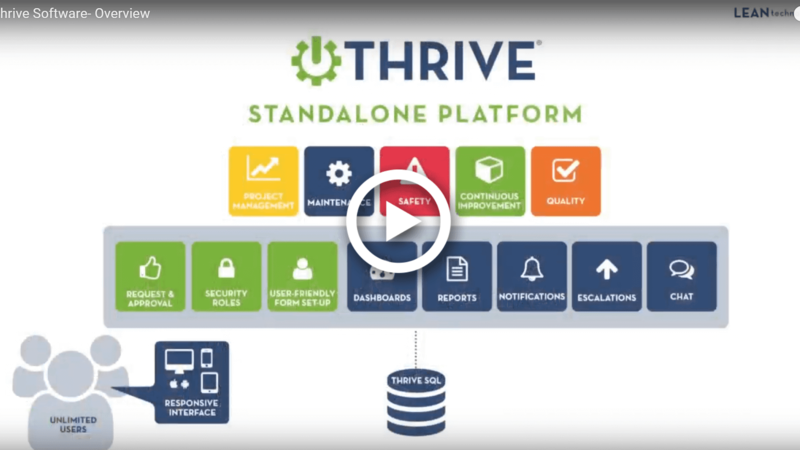 Regardless of your manufacturing needs, the Thrive reporting module is a powerful tool to turn data into actionable information. See how. 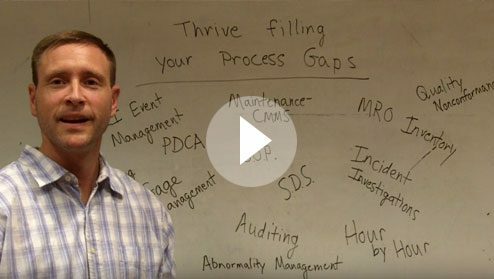 Process gaps? We’ll close the loop. Discover the Thrive functions and features that help you manage, track and close the loop within key manufacturing processes. Thrive focuses on the shop floor. Safety. Quality. Reporting. Continuous improvement. Maintenance. 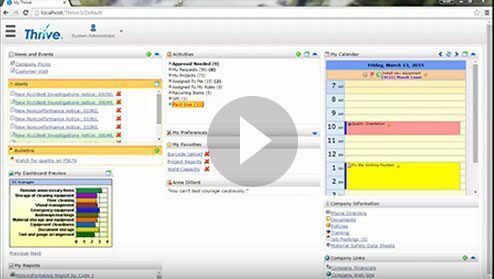 Meet the modules that allow you to take control of your shop floor processes. Thrive developed for manufacturing people by manufacturing people. 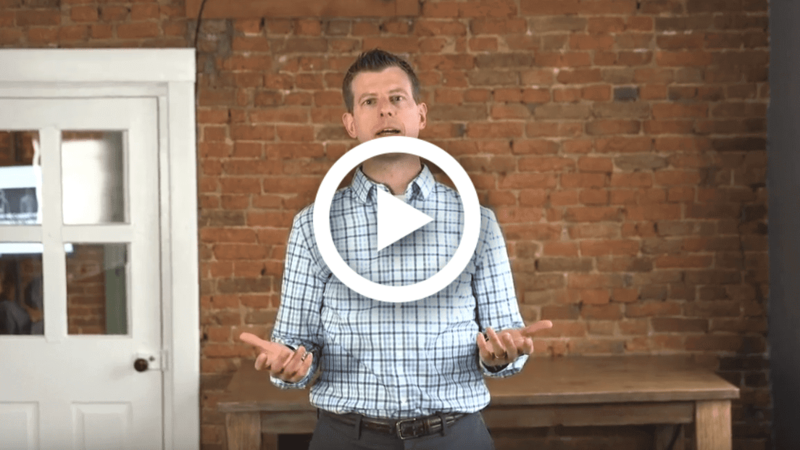 Thrive founder and president, Scott Sorheim, in his past job faced many of the same frustrations you probably have in your manufacturing software solutions. Close the loop on your processes. Learn how you can monitor processes, assign action items, see action items through and follow up with meaningful reports that lead profitable change.